CloudfloorDNS can help you acquire valuable expiring or expired UK domains. 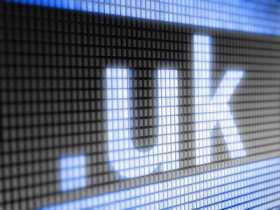 If there is a .uk domain that you would like to acquire and it is due to expire shortly, all you need to do is add it to your domain capture list. This is commonly referred to as 'drop catching'. Our systems will attempt to register the expiring name for you and will normally have an application into the registry within seconds of it becoming available. We regularly monitor the status of your requested domains. The actual time the domain will be become available is unknown, so on the day the domain is expected to expire our systems start to monitor the domains at a much higher rate (hundreds of times a minute). We use special high speed connections to the UK registry to achieve this. If the name is reported as available we immediately apply for that name via our registry systems. All this happens in just milliseconds. You will then be sent an email confirming your capture request was attempted and whether it was successful or not (there is sometimes competition for domain names and there is no guarantee we can obtain them for you, though we have a high success rate). To use this service you must have an account with us (sign up for free here) and your account must be in credit. We only debit your account when the domain is actually acquired. For each domain successfully acquired you will be charged £25. This higher charge (from our standard registration fee) reflects the huge amount of extra effort involved in trying to acquire the names for you. We only take a certain amount of orders for a certain date period to ensure that the service stays responsive (speed is the key! ), so this service may not be available to you at all times. Full and completely accurate name and address information must be supplied for each name. Failure to do so will most likely cause your application for the name to be refused by Nominet, even if we apply for the name first. Double check every detail, especially post codes etc. making sure they are all formatted correctly. Don't get their first, then have Nominet refuse your application because you entered a postcode incorrectly! Amounts deposited for capturing UK names are non-refundable, but they may be used for other services on the site including further capture requests, new registrations and dns. Capture requests should be made at least 24 hours before domains are due to be deleted, though we can take requests at any time even on the day of expiry as we update our list approximately every hour. Please note, that we (or anyone else) cannot guarantee to obtain a name for you though we will truly make our best efforts. Because of the technology we have implemented and the links we have to the registry we have a massive advantage in acquiring a UK name over most other people. Using our drop catching service is one of your best chances of obtaining an expiring UK name.